IndyCar now has an official air ambulance company. AirMed International announced today it has become the Official Air Ambulance of IndyCar, the governing body of the IZOD IndyCar Series and Firestone Indy Lights. 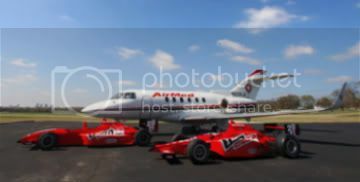 Under the terms of the new sponsorship agreement, all IZOD IndyCar Series and Firestone Indy Lights employees and racing team personnel will become members of AirMed’s medical evacuation and repatriation program, which provides air ambulance transport to the hospital of the member’s choice from any point on the globe. AirMed's says its current clients range from the U.S. Department of Defense to hospitals, like the Mayo Clinic. The AirMed Traveler membership program has more than one million members in North America and covers individuals and their family members who are ill or injured while traveling, providing bedside-to-bedside air medical transportation along with a 24/7 medical services hotline, pre-trip security briefings and many other benefits.